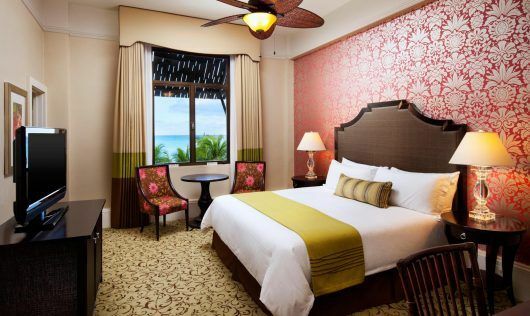 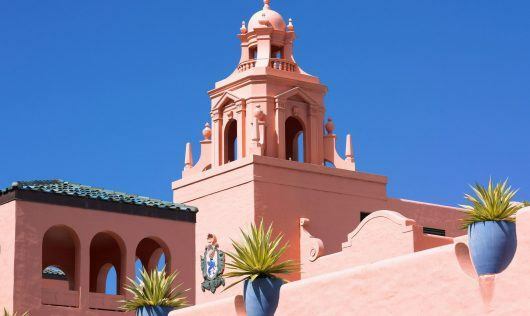 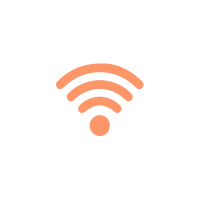 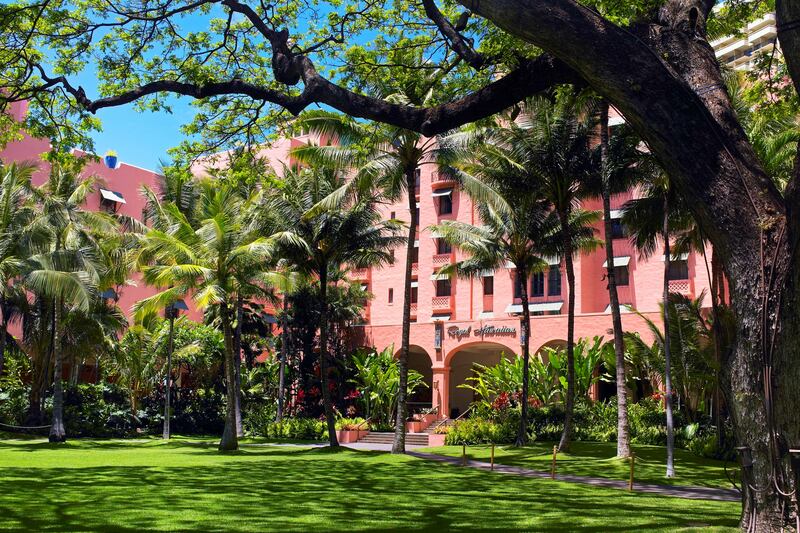 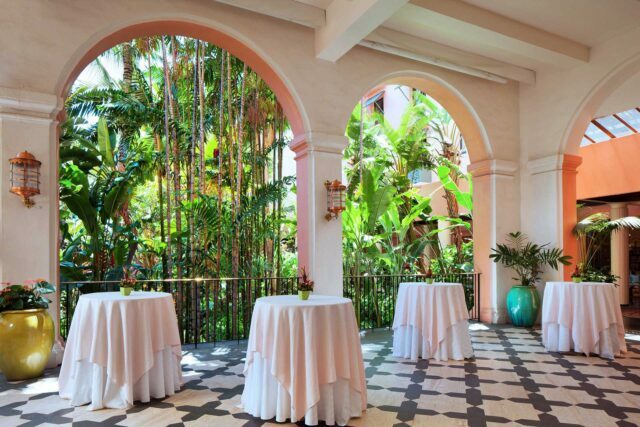 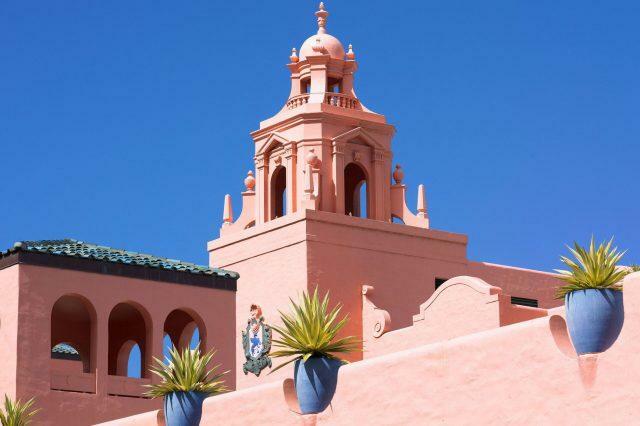 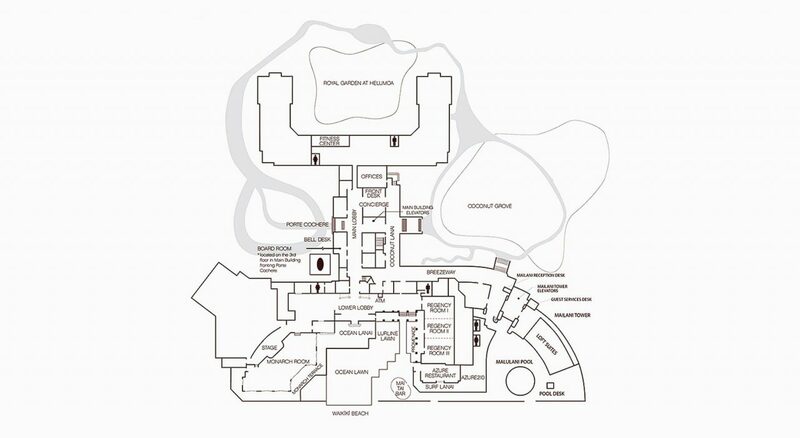 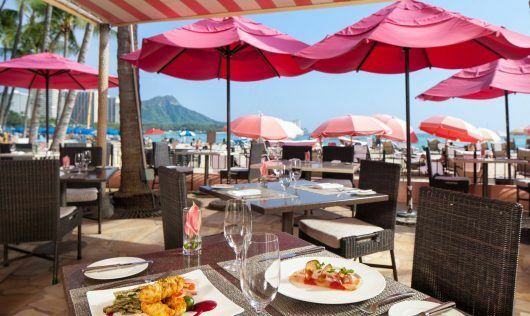 At the heart of The Royal Hawaiian lies the Coconut Grove garden oasis, a picturesque courtyard lined with swaying trees and lipstick-red ginger blossoms. 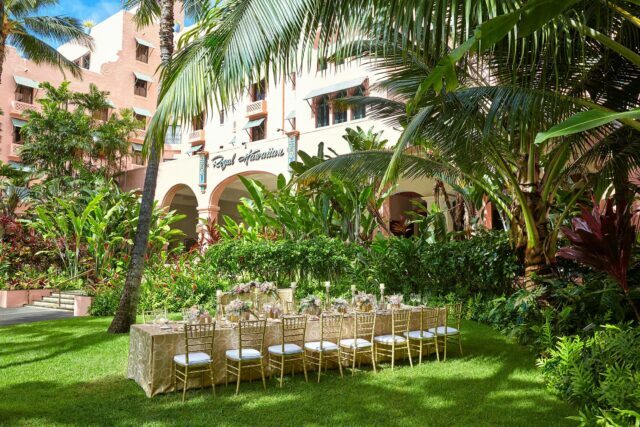 The serenely quiet Coconut Grove, once the playground of Hawaii’s kings and queens, serves as a backdrop for one-of-a-kind events and receptions under Hawaiian skies. 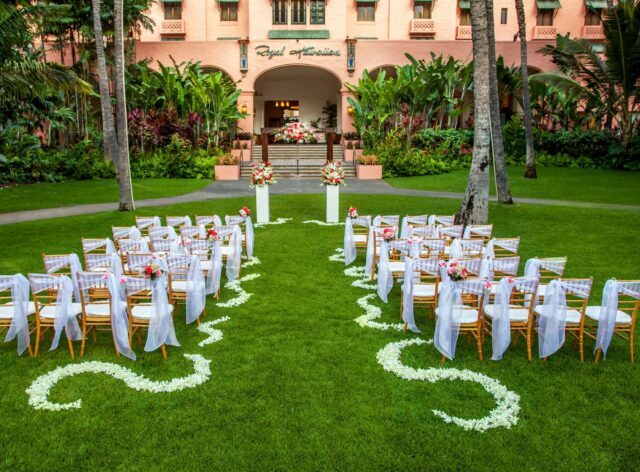 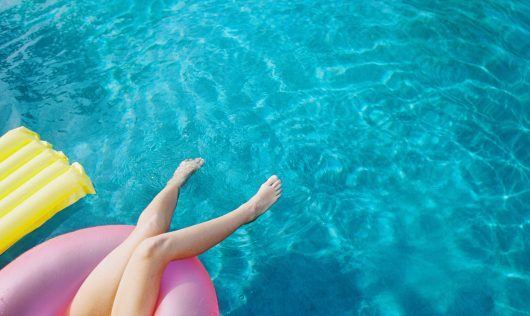 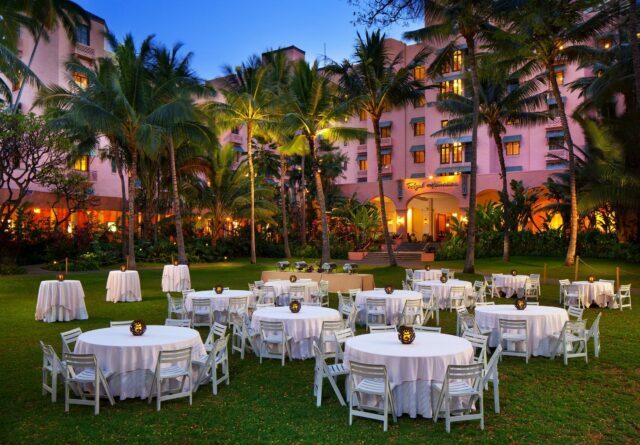 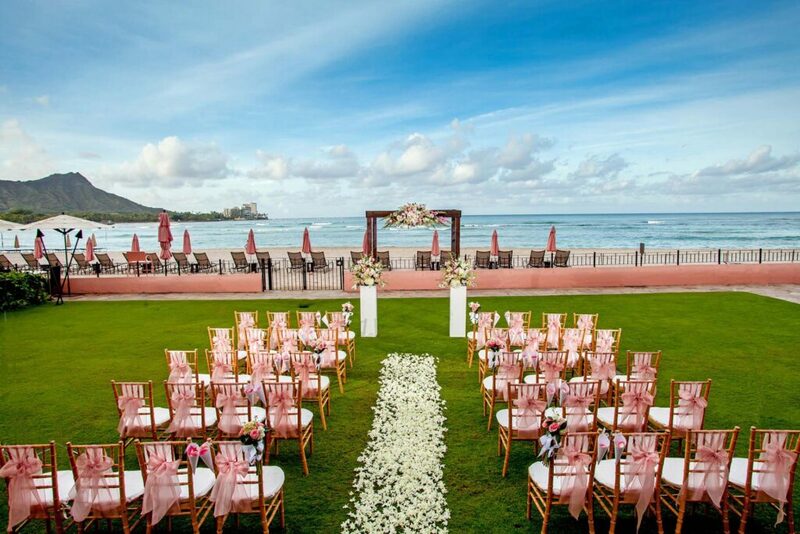 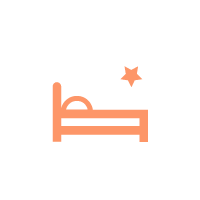 Stretching all the way to the sands of Waikiki Beach, this spacious venue is perfect for extraordinary events, luaus or receptions under the stars. 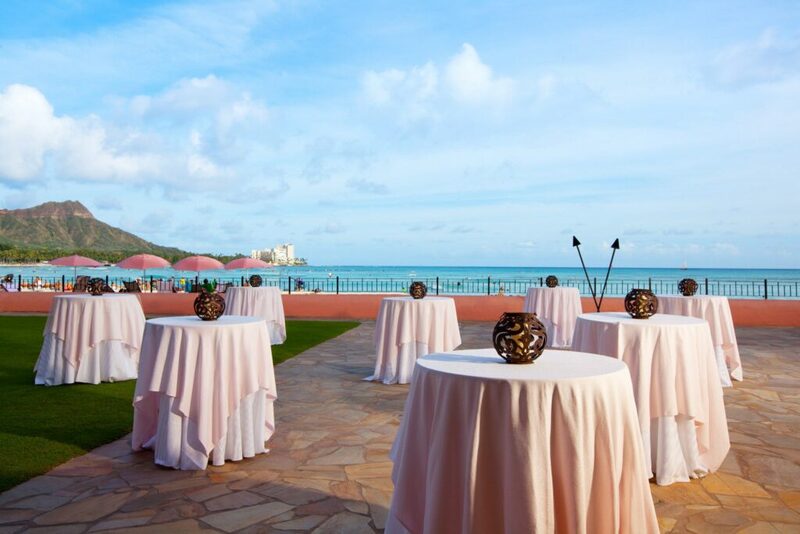 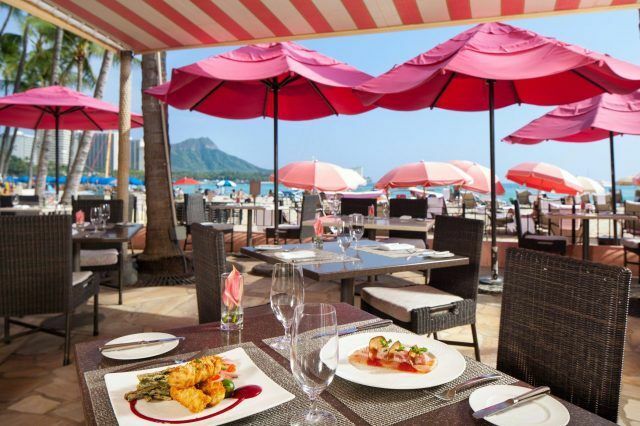 At the entrance to the Monarch Room, our open-air terrace can welcome 300 for evening cocktails overlooking Waikiki Beach and under star-studded Hawaiian skies.